Geek Culture welcomes all geeks and wannabes (even nerds). It's now a cultural relic... but it's still cool! Our free iMac screensaver! Geek Reviews | upLinks! 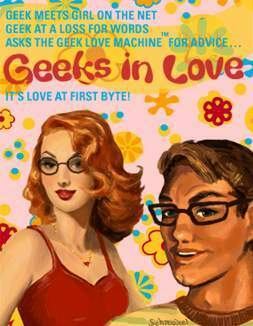 | Geek Files | GeekTV | Geek Love | Movie Reviews | Mind Numbing Magazine | Date-Mate Cards | Awards! Selected as one of Shift Magazine's 100 best websites!